So, I mentioned that I would have a post coming soon about working off the farm. It just so happens that recently a job kind of dropped in my lap. Very recent actually. A big title like that means lots of responsibility. Lots of people relying on you. Lots of phone calls. Lots of emails. And the chance to mess up lots of time. Whew, kind of scary right? In the past I have talked about how 4-H was so impacting on my life. I suppose now is the time to talk about how impacting FFA was on my life. It could really take all night. FFA stands for the National FFA Organization. Way back when, it used to stand for Future Farmers of America. Remember those days? The organization changed it’s name to simply the National FFA Organization to allow for the ever evolving world of FFA and not simply stereotyping that all members were farmers..because now they aren’t. Kids who are like me, who don’t come from a farm, are now in FFA. One of the largest chapters in the state of Indiana was in the heart of Indianapolis. Instead of growing crops or raising cattle, they were cultivating plants in the greenhouse and using hydroponics units. 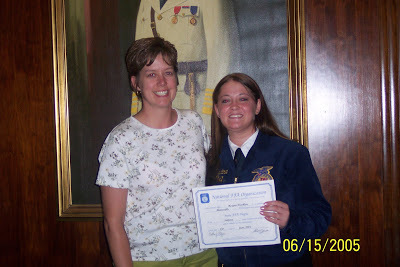 My years in FFA I was involved in everything from judging animals to giving speeches to holding various offices at various levels. Each experience instilling great morals and values along the way. I had a great high school agriculture teacher who I thoroughly enjoyed, loved talking to, and learned so much from! She was always there for me throughout my FFA experience, but also in other aspects of my life. An Ag teacher isn’t always just a teacher, but also a friend, coach, and even a mom or dad. Ag teachers give hours of their life to their programs, not just in the classroom, but outside of it as well. It truly is a yearly teaching job. When other teachers have the summers off, Ag teachers are hauling students to convention, taking care of plants in the greenhouse, and attending their own summer conferences. 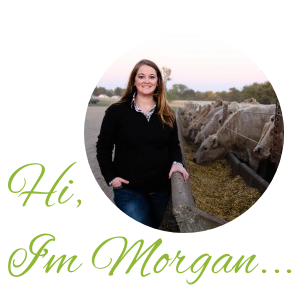 If I didn’t get enough of a nudge in the right direction with 4-H, FFA really set me on the path to choosing a career in Agricultural Education. So, what do you do with a degree in Agricultural Education when you are tied to the land in one certain area with only a handful of schools around you? All of which have established agriculture teachers already. Well, you take advantage of career opportunities that fall quite literally in your lap. Which is what I did. With a job off the farm though it means being even more organized and scheduled than I normally am and planning things well in advance! It means more hot dishes and crock pot meals when it’s your week to cook. Which also means planning those meals way in advance. It means late nights catching up on bookwork and bills. And working with 6 amazing South Dakota FFA State Officers. The job is currently temporary for about 3 months (I have not decided whether to apply for the position or not.) but to me it is still permanent for 3 months…which means still giving 110%! I think you would be great at that position. We invite FFA when they are in Indiana for the National in Oct to come and learn about gourds and paint a gourd at our shop. They can also take a tour of the farm. I just stumbled upon your blog and became your newest follower. I was involved in both 4-H and FFA and think they are great programs for developing future leaders. Glad you like your “position” so much. We have an old saying in our family about fishing that applies to life: “Them that has in their poles in the water have a chance to catch fish. Them that ain’t don’t” Give it a try! You are rocking this job Morgan! We are blessed to have you!